Here’s a word from Gina! I am very pleased to be joining the DoAhead Woman today! I admire proactive people. I so want to be one! 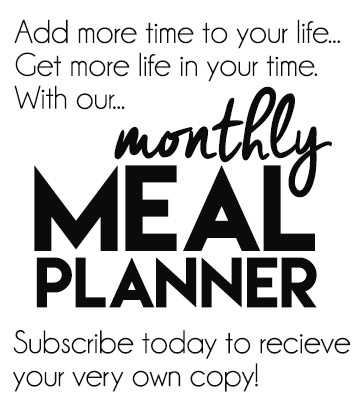 I have a Franklin Planner that I cannot live without. I am diligent to make my entries and follow through on my appointments and to-do list. Should I leave home without it, it’s like leaving my brain behind. Keeping up with my crazy-busy life is a never ending pursuit. Can you relate? All of this got me to thinking about how I chase after the wind, trying to keep up with all my worldly affairs. Why wouldn’t I be just as diligent when it comes to my spiritual affairs? 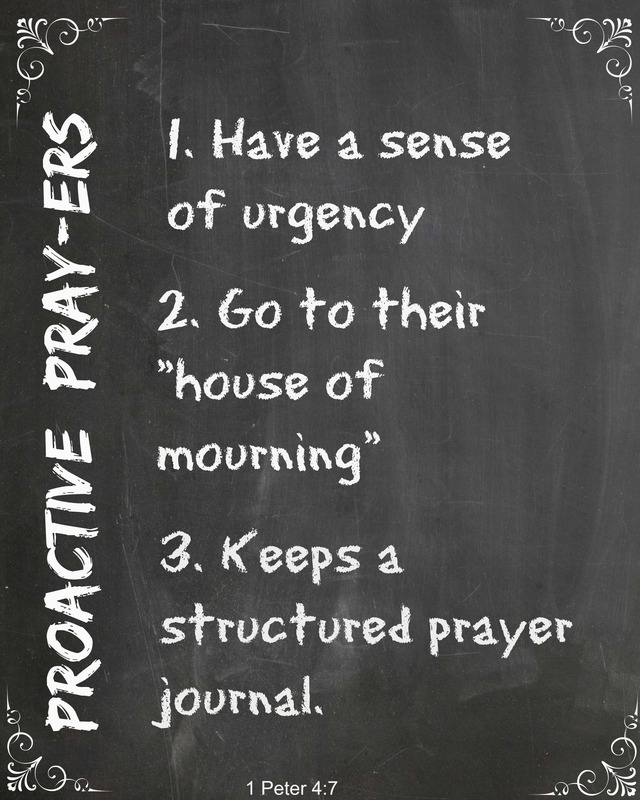 Peter is saying three important things to busy people like us when it comes to prayer. First, he is saying that for every matter there will be a conclusion. One way or the other every situation we are aware of will come to an end. With that in mind, it would behoove us to immediately pray over them as we become aware for them. 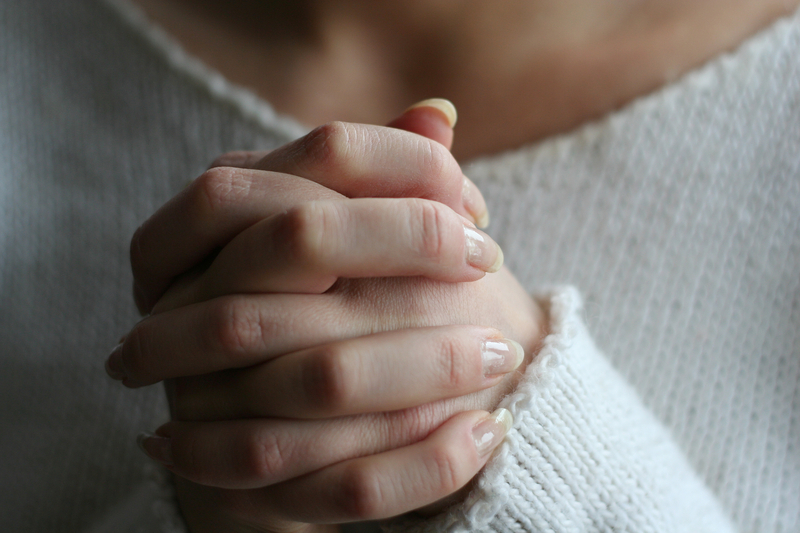 Right now, think of three things that you aware of that needs prayer. Perhaps you are aware of a failing marriage, financial issues or a family conflict? If so, Peter is interjecting a sense of urgency into our prayer lives. We must pray quickly once we become aware of situation. Solomon knew that when we are at a funeral, we are more serious-minded. During such times, we are thinking less about ourselves and more about others, and eternal things. As we pray, may we go to a house of mourning – a place that clears our mind and sets us to toward a serious one. For me, it is praying for abused and neglected children. Before I pray over those things on my prayer list, I go to my house of mourning where I pray for these children and then I take that somber attitude with me through my remaining prayer list. What is your house of mourning? Lastly, Peter encourages us to be disciplined for prayer. As I mentioned earlier, I am a real stickler for using a planner/organizer to map out my affairs, and I have learned to use a similar approach in my prayer life. I use a method called structured prayer journaling – a 10 compartment weekly worksheet – to make notes in that helps facilitate my prayer life. My compartments include sections for recording my praise and thanksgiving, prayer requests and struggles, to name a few. Once I make my entries, I then use those recorded prompts to lead me through prayer. In doing so, I feel that I am staying in step with God. Having clarity about spiritual things is so much more valuable to me than keeping up with this life’s stuff. DoAhead Women are just as proactive with God things as they are life’s things. May Peter’s lessons of 1 Peter 4:7 reign in our prayer lives. Award-winning author Gina Duke is a wife, mom and the Director of Women’s Ministry at her local church. With a B.S. in Organizational Leadership, she is able to bring a clear word for authentic Christian living. Through her book, “Organizing Your Prayer Closet: A New and Life-Changing Way to Pray” (Abingdon Press), she imparts 1 Peter 4:7 with the gift of structured prayer journaling. 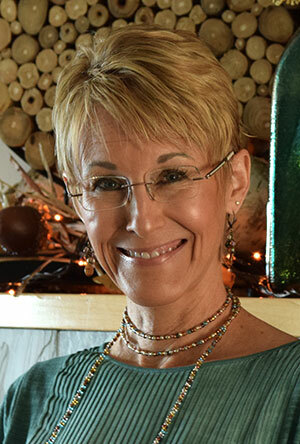 She is a speaker, workshop leader and Christian living blogger at www.GinaDuke.com. You may also follow her on Twitter and Instagram @TheGinaDuke. Here’s the scoop with the give-away. Enter your email in the subscribe field (located on the upper right side of the page.) I’ll confirm that I’ve received it. Deadline for entries will be 11/30/14 at midnight CST. A random drawing will take place and the winner will be announced on 12/01. The only restriction is that your mailing address is in the United States. Last but not least I hope you’ll link up for Angie Ryg’s Inspire Me Monday! You may have found a recipe that you’re sure is from heaven…SHARE! Maybe you have a da’bomb decor’ idea that’s a snap…SHARE! Or perhaps your Monday has met you with words of inspiration…please SHARE! Pop over on Wednesday for DoAhead Dining. I’ll share a tip that won’t take more than 15 minutes but is guaranteed to take the crazies out of your pre-holiday dinner preparation! Powerful and encouraging. Thank you for sharing this beautiful insight. Prayers are so powerful weapon indeed. While social media often gets a bad rap, I’ve come to appreciate the urgency and immediacy of my friend’s prayer requests–I read and update and immediately pray for the situation–and then each time I see a post or an update, I’m reminded to pray again :). Yes, I’m excited Gina! I just used your book again this morning! I can’t wait to get a copy to someone else!